Love your 100% Wool Sweater Ironing Mat or blanket? Don’t love that natural odor of sheep when it gets wet? Here’s an all natural solution to neutralize the odor. 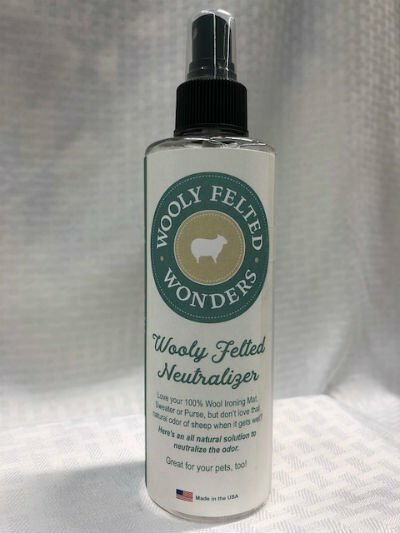 This product includes a BPA free/PET spray bottle, funnel, and instructions for fun formulas using all natural products that you can mix at home!